A New Journey | College is……..
After spending months pondering what to do after college, I have decided to attend Saba University School of Medicine. This decision wasn’t easy. 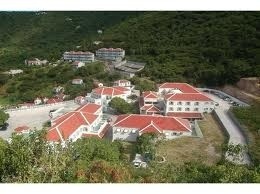 Saba University is located in the Caribbean, and so that alone is a big change. Saba University also begins classes in May and goes year round which is a lot earlier than I expected. Some determining factors in my decision was the fact that Saba medical school is accredited in all 50 states in the US. It allows me to get the medical degree that I want, and the price is comparable, if not less than US schools. So after this, here’s to a new journey! This entry was posted in Uncategorized and tagged graduate school, Medical school, Saba. Bookmark the permalink. Thanks Professor Read-Davidson! Hope you’re having a great semester!